“My last album before this one, ‘Sabani,’ was a really happy album. 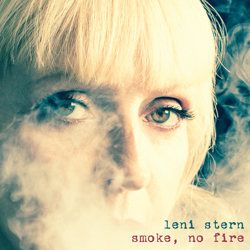 Times were good in Mali,” Leni Stern explained in a November press release for her current album, “Smoke, No Fire,” which was partly conceived (with the help of singer and griot Ami Sacko) and recorded in the capital of the war-torn West African country, Bamako. A master jazz and blues guitarist and ngoni, Malian lute player, Stern performs Friday, Feb. 8, with her African Trio at Seattle’s Royal Room; she was profiled here when she appeared in July at the Columbia City venue (5000 Rainier Ave. S). Follow this link to Stern’s official website.